Have you been falling out of love with your Tesla Model S? Has the electricity gone out of your relationship? Elon Musk feels your pain and has a plan to rekindle your affair with the groundbreaking electric car — the ability to fire up, so to speak, the Tesla Model S with your iPhone. And, no, this neat little trick doesn’t work with Android. 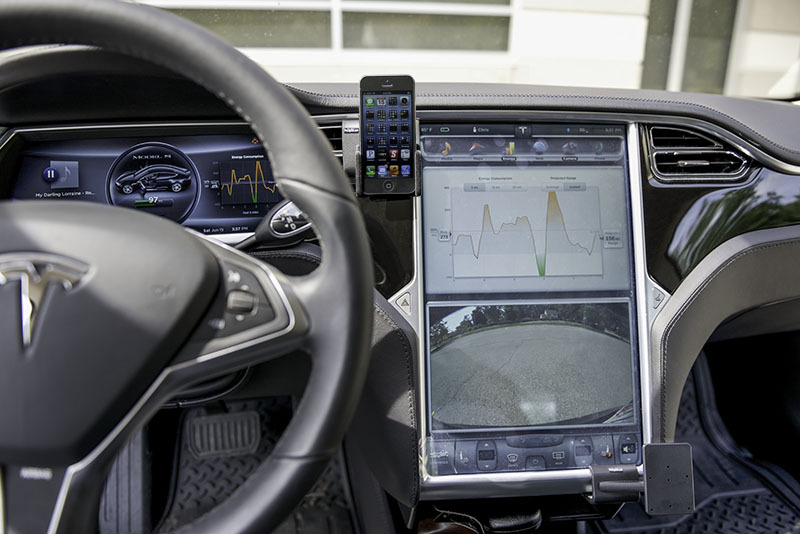 Tesla Motors plans to release a Model S firmware update that will allow the owner to start the vehicle using an iOS 8 + Touch ID equipped iPhone. This bit of magic will also require v6.0 of the Tesla mobile app, also pencilled in for release sometime this year. 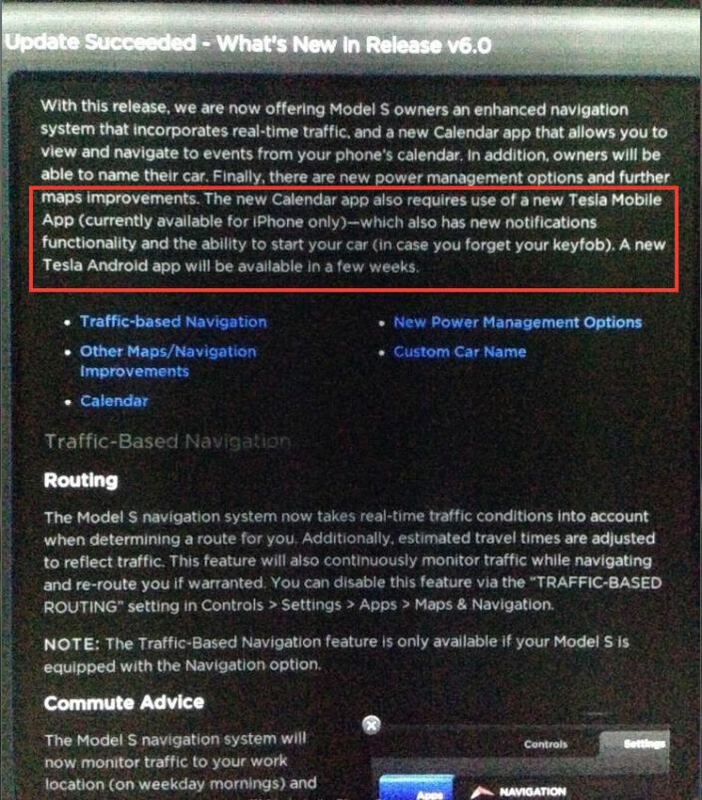 The new Calendar app also requires use of a new Tesla Mobile (currently available for iPhone only), which also has new notifications functionality and the ability to start your (in case you forget your key fob). New Tesla Android app will be available in a few weeks. That said, maybe someday Tesla will let us play like James Bond.